One of the biggest stories in golf in April, aside Tiger Woods back fusion surgery, was Sergio Garcia’s win at the masters. Few months down the line and with the PGA Tour back in Georgia, his name is barely thrown around. He is a reigning Masters winner yet he was not brought in for pre-tournament interview; Something that last happened back in 2009 in Angel Cabrera’s time. His performance in the last two months obviously has a big part to play in the snub. Justin Thomas, Jordan Spieth, Rickie Fowler and Dustin Johnson have been enjoying their time as they play very well. Garcia reached a new high in 2017 but he might have doubts over his overall performance for the season under review. However, considering his travels with the green jacket and other off the course activities, the golfer says he is satisfied with the year so far. “Everything that’s been going on, on and off the course. I’ve had some other really nice years but this one probably bigger things have happened,” the newly married man said. 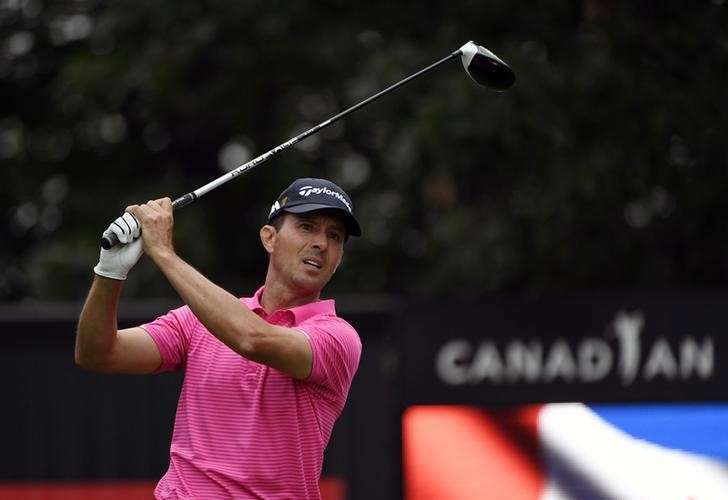 Garcia struggled ahead of the FedEx Cup as he fell out of the top 30 stars who qualify for the Tour Championship. He needed to play very well at the BMW Championship to qualify for East Lake after skipping a playoff event and finishing T35 in Boston. He narrowly qualified for Atlanta as he made a 5, spending up to 40 minutes to complete his final hole. Despite many waiting like Phil Mickelson, he took his time to make the move and secure his spot. He was confident, calm and relaxed. The 37-year old veteran admits that he is better relaxed and patient these days. Garcia denies pressure to qualify for East Lake as the Masters winner – an event he last qualified in 2014. He is not rated as a favourite to win. Speith was the first to win the season finale as a Masters winner in 2015. With Tiger Woods return to competitive action recently, the media has been set on fire with different news articles on the American star, which has generated a lot of interest in the golf game from both fans and non-fans of the game. In April 2013, at the Masters, Woods had been put in front as a serious contender for the title. He went on to hit a gorgeous approach on his 15th, which hit the pin and rolled into the water. Tiger dropped, with some immediately taking issue with the drop. At the end, Woods was assessed a two0stroke penalty, which saw his bogey 6 become an 8, thus halting any momentum of heading into the third rounds the next day. He therefore finished T-4 at % while Angel Cabrera was defeated by Scott in a playoff. In September 2013, he was for the 11th time, named the PGA Tour player of the year which elicited lots of hopes from his fans. In August of 2014, Tiger missed out at the PGA Championship after shooting 74-74, thus bringing a brutal end to his 2014 season. Woods missed the cut at the U.S. Open in June 2015, at Chambers Bay after shooting 80 and making some awful swings. He also went on to miss the cut at the PGA championship and at the British Open as well. In September 7, 2016, the American Superstar announced a planned return to golf at the month’s Safeway Open but goes on to withdraw three days later while stating his plans to play in December at the Hero World Challenge. And on November 27 2016, after a practice Round in Bahamas, Woods tells USA today that he’s back and better in control. 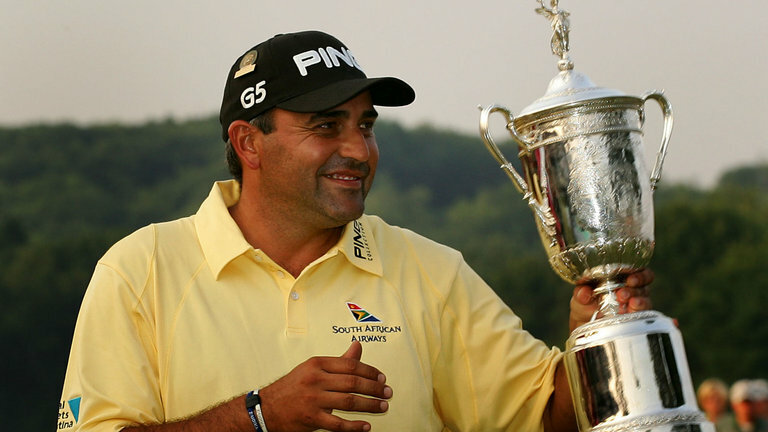 There is no doubt that Angel Cabrera is a legendary golfer and has achieved a lot in his golfing career. There would be a lot of fans rooting for him whenever he enters the golf course. Emiliano Grillo has openly said that he is a fan of his fellow countryman’s golfing skills and has watched his hero in action at the 2007 US Open Championship on video about 100 times. 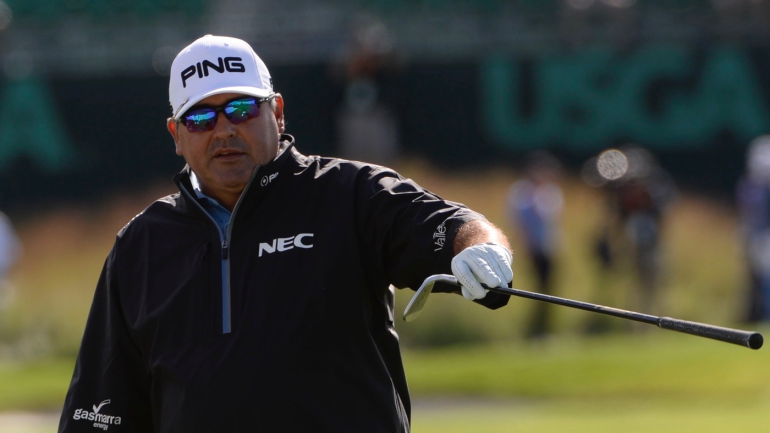 Emiliano has said that Cabrera’s golfing prowess at the 2007 US Open was out of this world and is a great motivation for him to do better things on the golf course. He is hoping that he can emulate Cabrera’s feat one day by winning a Majors title. The highlights video of Angel Cabrera winning the 2007 US Open Championship was played by Emiliano over and over again in order to get a very good motivation while taking part at Oakmont. Grillo has made the cut to his maiden US Open Championship, but will not be able to enjoy the same success that his golfing idol has achieved almost a decade ago. Grillo has paid tributes to his idol by wearing an outfit similar to his idol with differences in the weight and the sponsors. This was a good effort from the side of Grillo to pay tribute to Argentina’s all time famous golfer Angel Cabrera. He had made this gesture on Father’s Day and this was not a bad time to choose to pay a fitting tribute to his hero and idol. Cabrera is 23 years older to Grillo and this 46 year old pro golfer earned more than $46,000 competing in the Oakmont US Open in June this year. This shows that he still has the fire power in him to compete with the best modern day golfers and give them a good run for their money. Three Argentine golfers will take part in this year’s Masters. This has not happened since the year 2001, when Angel Cabrera, Jose Coceres and Eduardo Romero all participated in the event. Fabian Gomez and Emiliano Grillo will make their debuts, Angel Cabrera makes his yearly trek to his favorite golf course. It will be Angel’s seventeenth appearance at the Augusta National after making his very first appearance in the year 2000, thanks to a 4th spot finish in Open Championship the earlier year. He dropped the cut that year, but in the year 2001, he led the event heading into number fifteen on Saturday. Angel finally got his only green jacket in the year 2009, defeating Kenny Perry and Chad Campbell in a 3 way playoff. His love for Masters translates his game each time he walks through the doors of the club, no matter how low his game might be. This is inevitable that as years go by it would become greatly tough for Cabrera to contest, but Argentine golf fans have the luck of watching him play well in Augusta. An interesting fact is that Angel is the only golfer in history to have won and lost Masters in a playoff. With this type of a range of experience, the veteran golfer would serve as mentor for his 2 fellow countrymen. Grillo told that there are really invisible things there. Some of the greens’ drops seem go one way, and they actually fall in the opposite direction. He feel that he still require to get to know the course; this is a matter of learning how to play the field. Someone who really knows the way around here and could serve him a lot is el ‘Pato’ [Angel]. They practiced together on Tuesday. He attempted to ask him everything he could, without disturbing him.